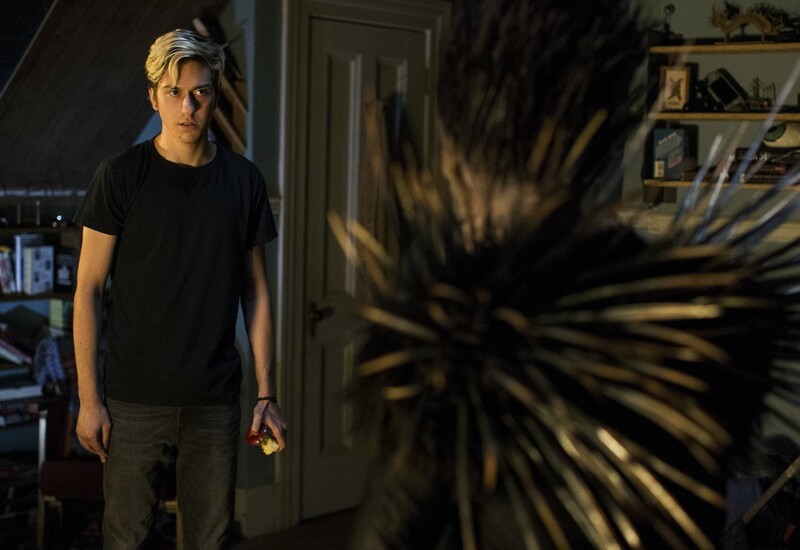 “Death Note” is based off a manga that has so perfectly captured the imagination and minds of audiences both young and old, that any adaptation is going to be a tricky one. The success of the series is a strange one (and worthy of a book in and of itself). It is a series that was aimed for college kids and adults, but which was originally read mostly by teenagers. It is culturally very Japanese, yet has somehow managed to become a global phenomenon. It is dark and twisted, yet somehow a joy to watch. When Netflix announced they would be making an American adaptation you could hear the moans around the world. For many, the books and an excellent TV adaptation are definitive versions of the story, and if the Japanese couldn’t make live action versions that worked, what made American’s think they could? Being familiar with the source material made sitting down to watch this new version (directed by Adam Wingard) an event that filled me with just a tad bit of dread. For going in I was not bothered by the perceived whitewashing of the film. I wasn’t bothered that it was moved from Japan to America. Hollywood has localized other foreign films before to enormous success (and so has the Japanese, if we’re being honest with ourselves), so I am less concerned with national pride than I am a final product that is watchable and enjoyable. 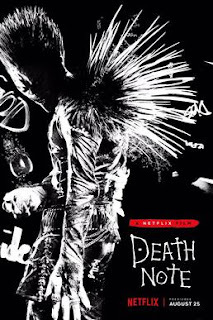 For the most part, “Death Note,” as an American film, succeeds in a few areas and stumbles in a few others. The story follows a teenage boy named Light Turner (Nat Wolff), who finds the famous Death Note dropped into his lap and reads the rule that will change his life: The person whose named is written in this Death Note shall die. It is the kind of thing that most people would look at with confusion and curiosity at the same time. At first, you question if it is real. Then, if it is real, you question if you should use it in the first place. 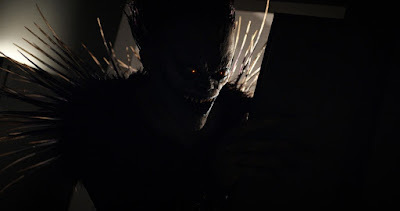 The movie, sadly, largely skips this revelation by having the notebooks owner Ryuk (Willem Dafoe) – a supernatural death god – explain to Light what the book does and what the rules are. This is going to disappoint some viewers, who will likely be expecting a more organic discovery process, but the reality is there is a lot of ground to cover, and very little time to do so. For it isn’t long before Light is writing names in the Death Note and cleaning the world of criminals and people he considers to be evil (or maybe just not very nice). 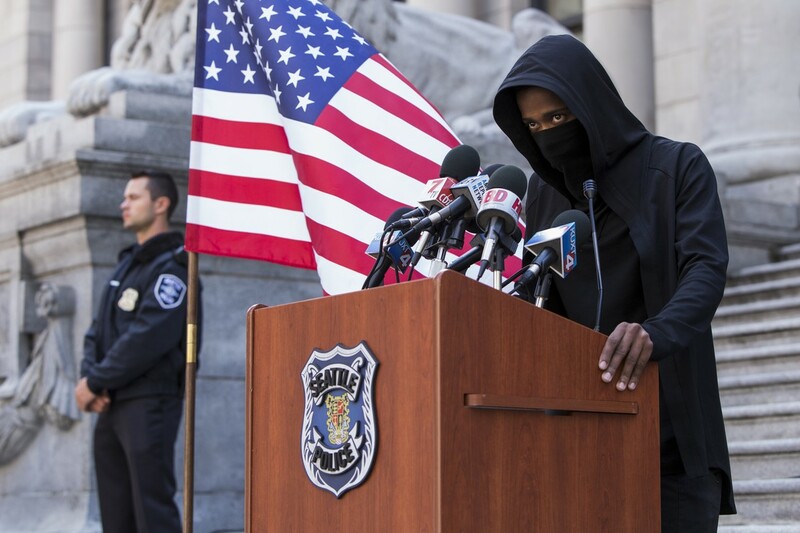 Every mouse needs a cat to chase him though, and in this case the teenage detective prodigy L (Lakeith Stangield) assumes the role as the cat, who suspects that the increased death toll among criminals is not exactly what it appears to be. Many will find themselves rooting for this character to succeed more than Light, as L is smart enough to protentional outwit our anti-hero, but quirky enough to leave a lasting impression. 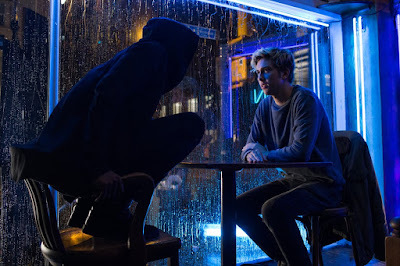 Though it is nice that L is a character worth rooting for, it should be noted that other adaptations create a conflict where you find yourself hoping both characters get away with it. There is a moral complexity to other adaptations that is sorely missing here, and the pacing is that of a fast-edited action movie. Not that this is a total problem as the basic concept has been streamlined in a version that I feel will appeal to most people unfamiliar with the source material. “Death Note” has enough thrills, twists, and intense character interactions that even with the (at times) jumbled storytelling, there was a lot to like here, and as someone who is familiar with the books there was also enough things that were different that I could still genuinely be surprised by some of the twists that took place. For the most part, I feel the movie succeeds at being a very smart chase movie. That’s not exactly what I was hoping for from this adaptation, but I must stick by my guns that this is its own version of a story, and if this is the direction they wanted to go, I must acknowledge if it works in the way it wants to work (even if it is not the way I would have wanted to see it play out). This is also one of the few times I find myself looking forward to a sequel, which I believe will have more room to breath now that we have the basics out on the table. Future movies have the potential to be much smarter, more intense, and thought provoking. The bottom score may reflect this movie more than that hope, but I am cautiously optimistic that the next time around we will get the great movie we wanted from this one. Parents, this movie is very dark, with lots of gory violence, language, and some sexual content. Recommended for ages 17 and up.